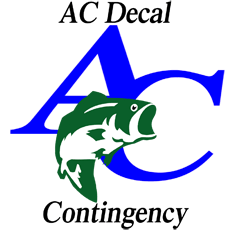 Finish 1st place out of "any" monies at any AC Tournaments event with 18 boats or more with a current registered decal on your tow vehicle and win $100. We also draw at the championship for $1,500 to those that are entered. 1) You must enter the program below. If you make the purchase the purchasers team will automatically be registered into the 2019 eligibility list. You must be registered to win. 2) Your decal must be on the rear window of your tow vehicle and confirmed by the director of the event with 18 or more boats present. Once verified contact the home office and if registration is current a check will be issued.